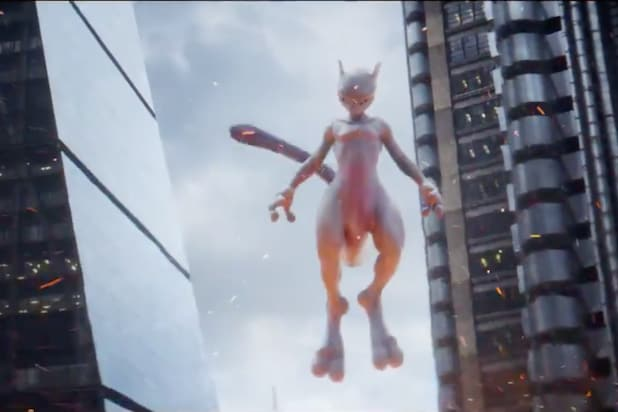 The full scope of the Pokemon world is finally taking shape in “Pokemon: Detective Pikachu,” with the all-powerful Poke-baddie Mewtwo showing up in the film’s latest trailer. Ryan Reynolds shared a new look at the live action film from Warner Bros. and Legendary Entertainment, and this time, it’s not just that Reynolds is voicing a talking Pikachu, but that this world is full of just about every popular Pokemon character, including Ludicolo, Snorlax, Machamp, a herd of Bulbasaur, Lickitung, an elegant looking Eevee…we gotta spot ‘em all! In the film, Reynolds’s Pikachu is attempting to track down his previous trainer, Harry, with his hat as the only clue to go on. He enlists the help of a teenage boy (Justice Smith) as they get in deep into the Pokemon underworld. There’s also a glimpse at the Pokemon battles that go on in director Rob Letterman’s imagination of the world, with Pikachu even taking on a menacing looking Charizard. “Detective Pikachu” also stars Suki Waterhouse, Kathryn Newton, Bill Nighy, Rob Delaney, Ken Watanabe, Rita Ora and Karan Soni. The film co-financed and co-produced by Legendary and WB opens on May 10, 2019. "Pokemon Go" has brought kids and their parents together, brought a sales boost to many small businesses that suddenly became PokeStop locations and restored Pokemon to the mainstream cultural dominance it enjoyed during its heyday in the late 90s. But for every story of mass gatherings and unexpected new friendships formed, there's also been reports of gamers' Pokemon quests gone horribly wrong. Just remember to use caution when out and about collecting Pokemon. Shortly following the game's release, a 19-year-old in Riverton, Wyoming discovered a dead body while searching for water Pokemon along the Big Wind River. Other gamers have reported finding dead bodies while hunting for Pokemon off the beaten path. Reports also surfaced of criminals using the game to find popular PokeStops with the aim of mugging unsuspecting gamers who pass by. 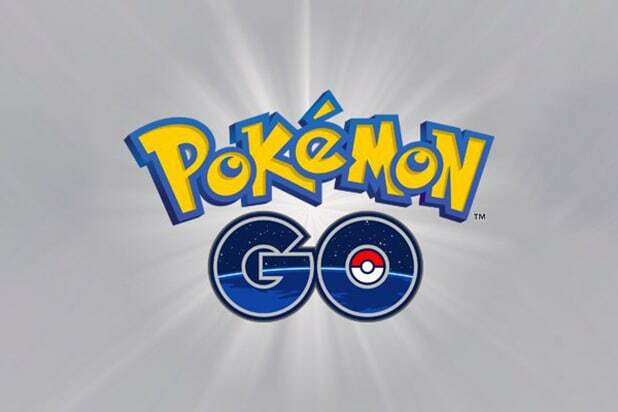 In O'Fallon, Missouri, police arrested teenage boys who had robbed several "Pokemon Go" users. The suspects were charged with first degree armed robbery. A similar robbery occurred on July 18, when a tourist from New Hampshire was hunting for Pokemon in Central Park and was held at gunpoint by two men. Police later tracked down the suspects using the victim's Find My iPhone app. Central Park has become a popular spot for New York "Pokemon Go" users, with large groups of gamers traveling together to find rare Pokemon. In Ontario, Canada, a woman was arrested on assault charges after shooting a pellet gun from the roof of her apartment at a group of people playing the game. In Flagler County, Florida, a man fired gunshots at two teenagers who parked in front of his house after midnight when they discovered Pokemon on his street. The teenagers were not injured, though the gunshots left bullet marks on the vehicle and punctured one of the tires. "Pokemon Go" has inspired fans to go out and meet new people to hunt Pokemon with, but sometimes those meetups can take a nasty turn. In British Columbia, a 19-year-old woman met up with a 31-year-old man to play the game, only to end up calling the police after the man made sexual advances towards her. On July 28, an Australian Pokemon trainer crashed his car into a school building in Melbourne after he lost control of the vehicle while attempting to catch a Pokemon. Fortunately, no one was injured in the crash. A comic book artist in San Jose, California was attacked by a man with a knife while playing the game, sustaining a severe wound that required fifteen stitches. The victim told NBC Bay Area that his attacker thought he was recording him with his phone and didn't believe him when he explained he was just trying to catch Pokemon. He says the attack did not reduce his passion for the game. A few days after the San Jose attack, a student from San Joaquin Delta College was shot and killed while playing "Pokemon Go" near Fisherman's Wharf in San Francisco. Police are still investigating the incident.